KIRKLAND, Wash., Aug. 27, 2018 (GLOBE NEWSWIRE) — GrowLife, Inc. (OTCQB: PHOT), one of the nation’s most recognized indoor cultivation product and service providers, today announced that it has added a new hydroponics retail outlet in Los Angeles, California that will act as the company’s West Coast e-logistics fulfillment center. The market for cannabis in California will hit $3.7 billion in 2018 alone, and that’s expected to increase to over $5 billion by 2019, according to industry research firm BDS Analytics. As the second largest city in the United States, Los Angeles is well positioned to serve as a cannabis hub for the rapidly emerging cannabis market in California and the greater West coast. The store and fulfillment center, located at 15721 Ventura Blvd, Encino, CA 91436, has a long-standing hydroponics customer base as it was acquired through an asset purchase of intellectual property rights and lease transfer from GoGreen Hydroponics. The store has been in operation since 2009 and is ideally located right off the I-405 freeway, enabling the company to reach new retail customers in that emerging legal cannabis market.Earlier this month, Los Angeles County authorized the issuance of licenses for cannabis cultivators throughout the county. GrowLife identified the opportunity to be strategically positioned in the heart of this market, and seized the opportunity to move forward with the new centralized, visible location. In addition to serving a new geographic customer base, the location will act as the West Coast fulfillment center for the company’s expanding e-commerce sales channel that serves all of North America, including Canada.“This new fulfillment center, which will also serve as a commercial outbound sales center, is not only an exciting addition to our company, but will play a pivotal role in GrowLife’s expansion and growth strategy as we capture more of this emerging market,” said GrowLife CEO Marco Hegyi. 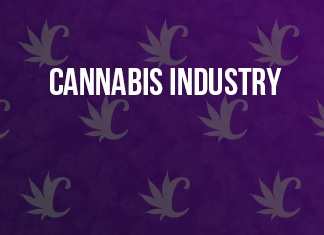 “Having a presence in one of the world’s largest cannabis markets illustrates the scope of GrowLife’s market reach. We achieved this milestone with minimal costs to the company and decreased risk due to a built-in customer base. Not only will it be able to serve a whole new group of customers, it will enable us to get shipments out faster and in a more cost-effective manner. Having grown more than 15x over the past year, the e-commerce and logistics division of the company has become a vitally important part of GrowLife’s revenue stream. This new location will allow us to fulfill the needs of our expanding customer base and I foresee significant growth moving forward as legalized markets continue to emerge and stabilize.” For more information about GrowLife, including the CEO’s most recent video statement, visit the company’s website. Products can be purchased at ShopGrowLife.com.About GrowLife, Inc.